The Lego storage was out of control at our house until recently. 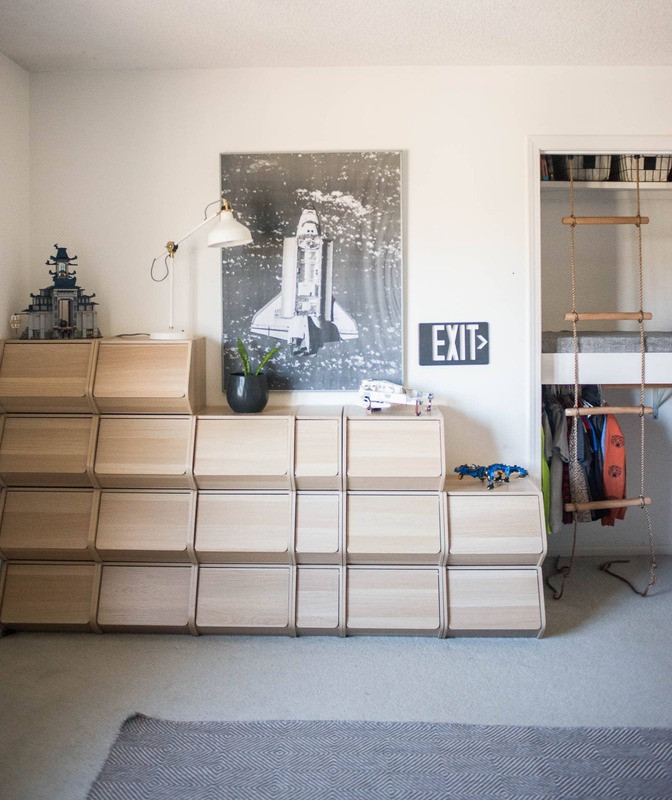 Check out this post all about Lego storage including Lego storage with display shelves to help organize and sort your Legos. 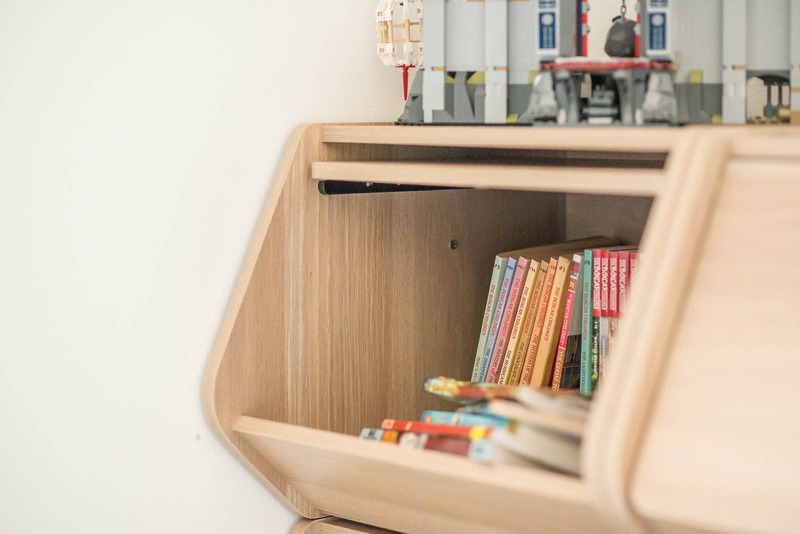 Plus, hear about the best Lego storage bag, that we’ve had for years, and still love. 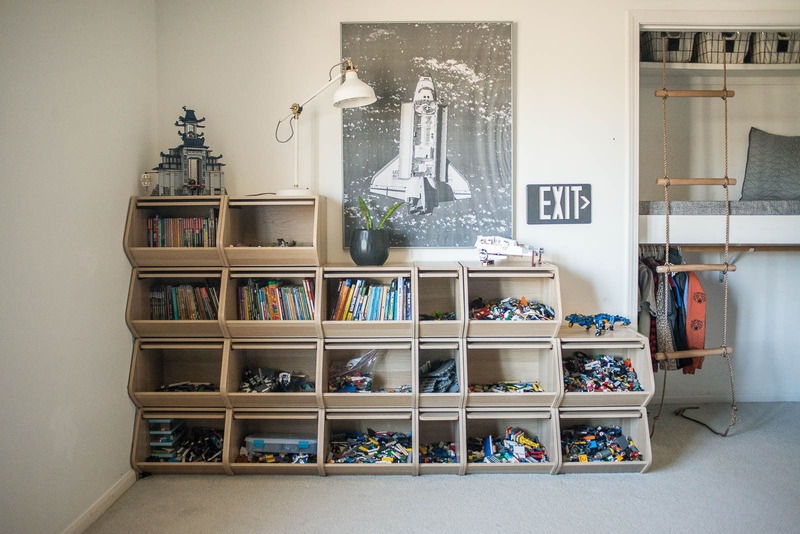 If you have school-aged kiddos who love Legos, then you probably have a problem with not having enough Lego storage. 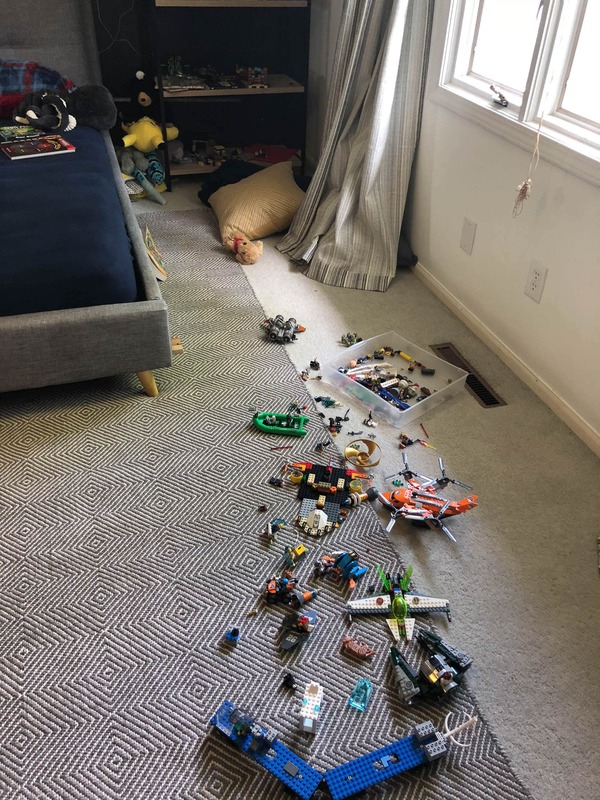 My little boy has been into Legos for years and the amount of Lego sets that he has is a bit much. But, as parents, we have to love Legos for the imagination and building that happens with them. Up until recently, I didn’t have a solution for the amount of Legos that we had. I knew that we needed some sort of better Lego organizer and it needed to also have a display shelf for Legos. For years, we had tried to get by with different sorts of plastic bins for Lego storage. What you’ve seen here is about 1/4 of the amount of Legos that we had. There were more plastic bins in a few other places. 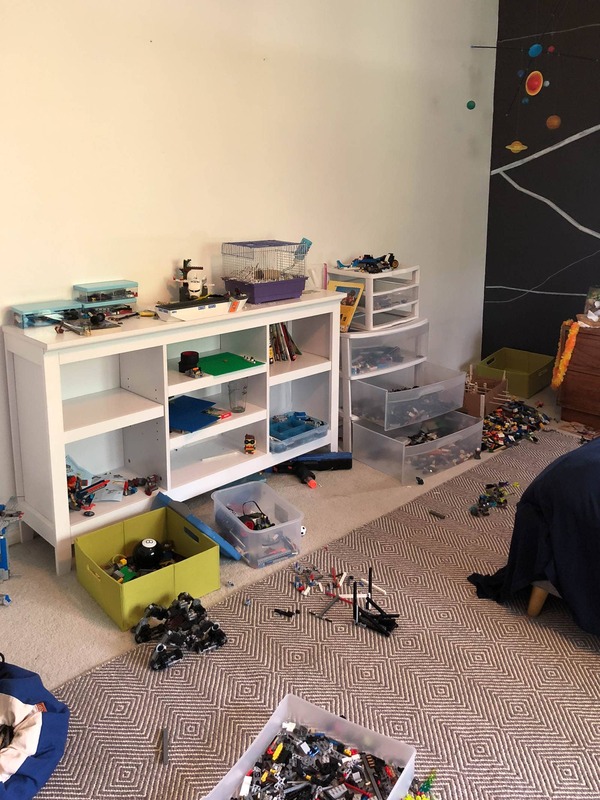 So, I searched and searched for an affordable option that would let us organize Legos by part if we wanted to but also be easy to just keep other toys or Lego sets in as well. Over the Door Storage perfect for organizing Lego wheels and other accessories. 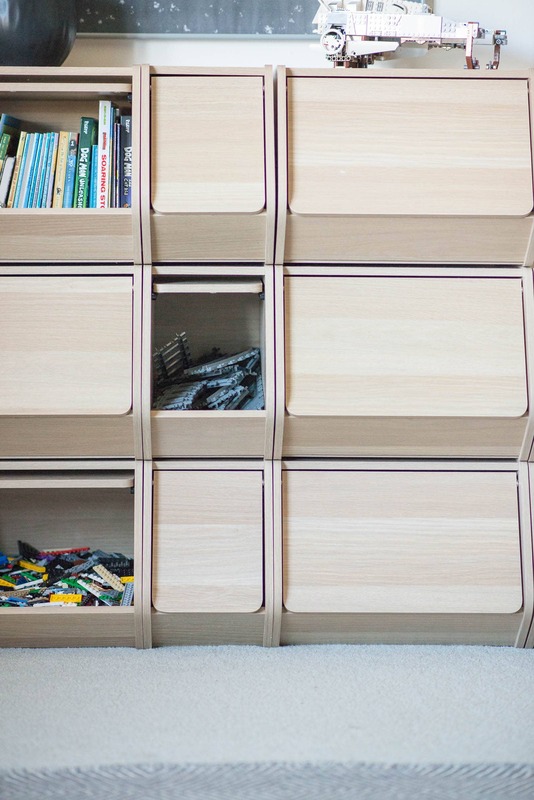 Clear Stackable Storage for specific sets. If you wanted to organize Legos by part, you would probably want to order more small bins instead of large bins. Unique pieces: wings, windshields, etc. As you can see, we are also using the organizer as book storage. 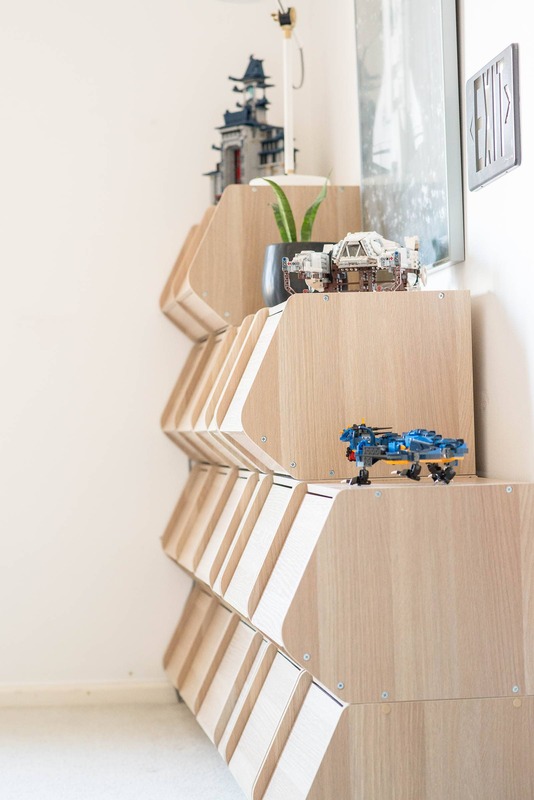 You could configure your shelves in whatever way you want. We choose to have a little bit of an asymmetrical look. Oops, I forgot to put the plugs in on each screw. Each bin comes with screw plugs to cover the screws. I will mention that the recommendation for these products are that they don’t stack more than three high. We chose to stack them higher. To make them safe, we attached the bins together with a screw and then attached the bins sitting close to the wall on one side, to the wall. This will prevent any of the bins from tipping forward. Here’s an example of how we screwed through the side of the bin to attach it to the wall. As a mom who doesn’t love the look of a bunch of little toys in primary colors, these bins that have lids that come down as covers are are just amazing. We’ve had this toy organizer for about a month and a half now and really love it.